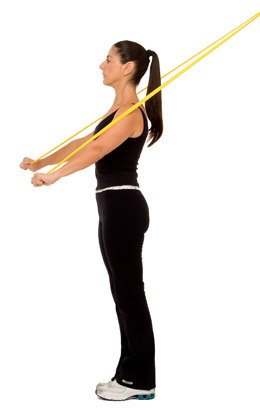 Start with your back to the wall, elbows flexed, and hands slightly below chest level. Proceed to stretch your arms down and out following the same path they were pointed at the beginning, in a smooth motion. Resume the starting position. Repeat 10-20 times.